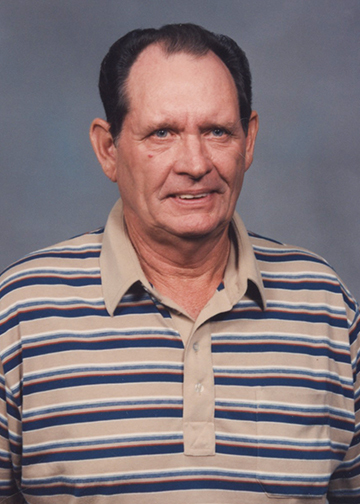 Royce Joe Whitehead, Sr., 84, of Lumberton, died Sunday, March 31, 2019, at Christus-St. Elizabeth Hospital, Beaumont. He was born on January 22, 1935, to Velma Lee Clark Whitehead and Dallas Langston Whitehead, in Pineland, and was a member of the National Guard. Royce was a very active member in the Ridgewood Meadows Church of Christ community. He had a natural love for fishing, hunting, and gardening. Survivors include his wife, Betty Whitehead; son, Royce J. Whitehead and his wife, Kimberly, of Valley, Alabama; sisters, Joyce Duvall of Groves and Mary Beth Alford of Nederland; grandson, Joseph Elijah Whitehead and his wife, Valerie Lynn; and great-grandchildren, Timothy Elijah Whitehead, Baylee Sky Whitehead, and Joseph Daniel Whitehead. He is preceded in death by his parents and son, Kenneth Lane Whitehead. A gathering of Mr. Whitehead’s family and friends will begin at 10:00 a.m., with his funeral service to follow at 11:00 a.m., Wednesday, April 3, 2019, at Broussard’s, 1605 North Major Drive, Beaumont. His interment will follow at Oak Bluff Memorial Park, Port Neches. Memorial contributions may be made to Camp Red Oak Springs, P.O. Box 2019, Kountze, Texas 77625; Church of Christ Student Center at Lamar University, 1018 East Virginia Street, Beaumont, Texas 77705; or the Meadows Church of Christ, P.O. Box 5126, Beaumont, Texas 77726. So Sorry for your loss. I will see you soon..
Betty -- I do not have a current postal address for you so I will use this high-tech method instead of sending a sympathy card. Royce was a fine man; I always thought that you could not have chosen better for a husband. I remember from my childhood when you were engaged and brought him to meet Grandmother and she liked him too. --BTW Mother is in gradual decline but sort of hanging in there. Her mind is a little vague and her short-term memory is not good but she does not have dementia and can still carry on a conversation. Love, Duane. Betty, You and your family have my deepest sympathy and prayers. I got to know Royce when we worked at Jefferson Chemical in the 70's. He was such a kind man and I always enjoyed hearing his fishing stories and learned from him. Unfortunately I will not be able to attend his service due to a commitment at the same time. God Bless You. May Royce rest in peace and may perpetual light shine upon him. Betty, know that prayers are with you. To know Royce was to love him.